I read today that the Bible is the most read book and the Koran is the second. 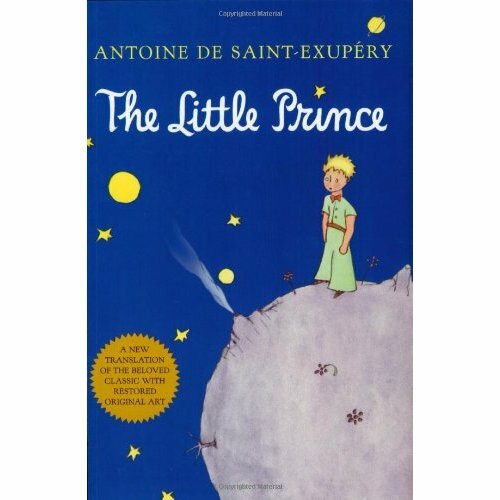 Third is The Little Prince by Antoine De Saint-Exupery. Not sure about that – but I do remember reading it – or more literally – having it read to me. English class, senior year of high school, our teacher said he was going to read his favorite novel to us. Sounded interesting. Other English teachers read books to us and I very much enjoy the reading thereof. Ahhh … The Little Prince? Not so much. Half the football team seemed to be in that class, filling the back rows with their muscles and their cool attitudes. Listening to the teacher read a book called “The Little Prince” did not melt their macho mindsets. Every time the teacher read, he prefaced his performance with how wonderfully moved we would be by the prince’s story. But by this time, he had lost most of us. I think it had to do with his sobbing. Yes, this story moved him to tears. loud, blubbery tears – which is all well and good in private – but not while you’re reading to a room full of we’re-too-cool-for-words 17-year-old athletes. So our teacher sobbed and the football players mocked him. And the rest of us sat there in tense awkwardness day after day. Nah, can’t say it’s a book I ever wanted to read again.